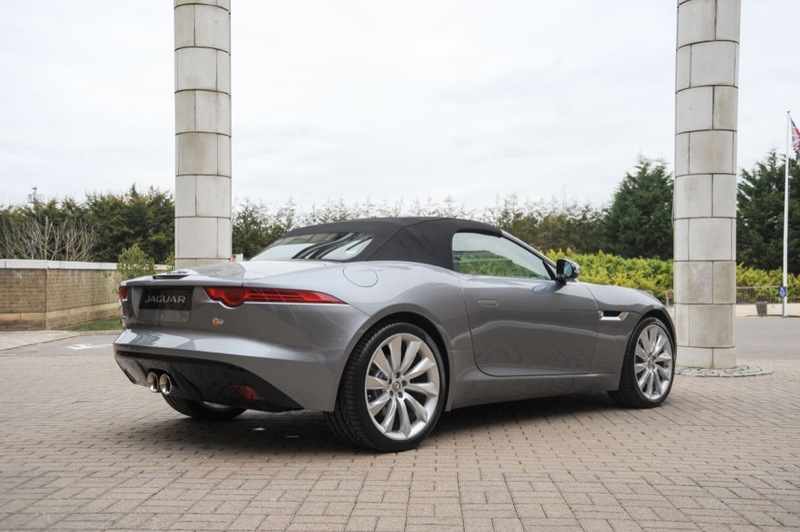 The F-type was chunkier in the metal than I'd expected. The origami vents and front air dam are fussy, but I like the tail. The cabin has a lovely aromatic leather smell. Unlike Robson Green, I generally give anything with the word ‘extreme’ in front of it a wide berth. Extreme-ly chocolaty might be an exception; but extreme sports, fishing, make-overs, and extreme off-roading are not my idea of fun. 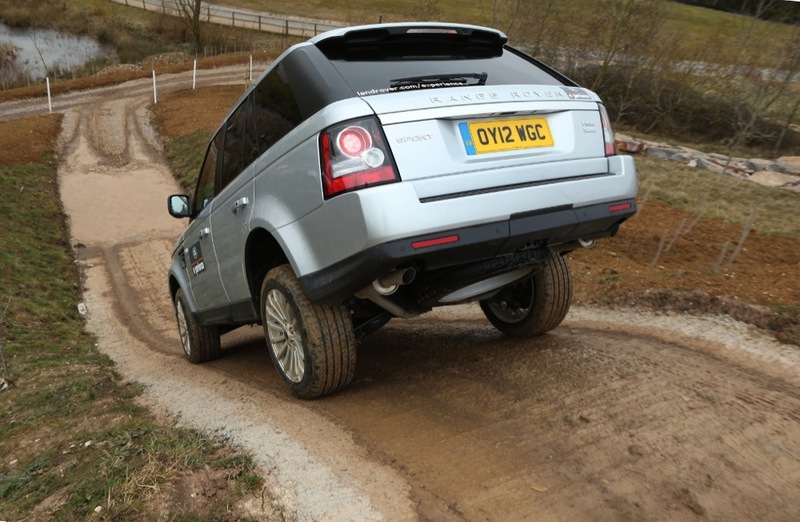 So how did I end up hanging from my seatbelt, convinced the £70k Range Rover Sport I was driving was about to barrel-roll down an almost vertical concrete wall? I’ve never understood the urge to drive a car into a muddy pit, through some water and back. 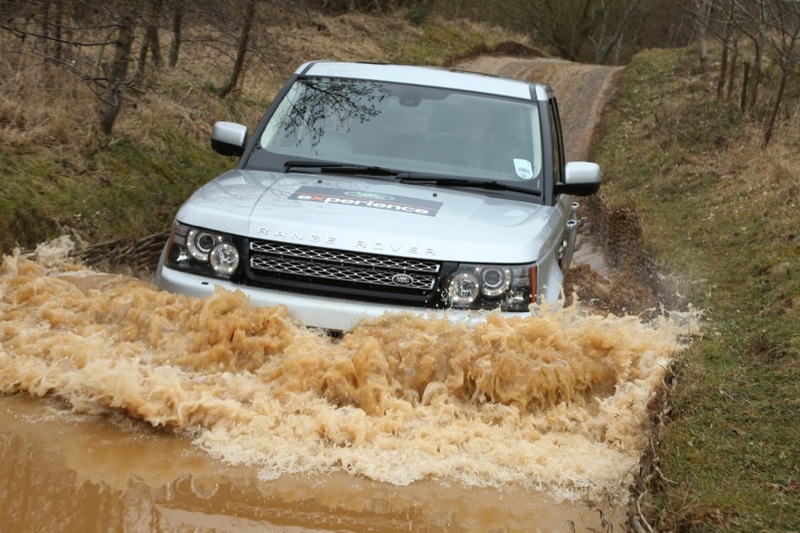 I’ve enjoyed off-roading as a way of going somewhere – in the Colorado Desert, on the Yorkshire moors, or in the rolling countryside of Eastnor Castle. My husband and I were lucky enough to spend a weekend on the Land Rover Experience at this elegant castle-shaped stately home in Herefordshire. He thoroughly enjoyed having to tie his Freelander to a tree and gun the engine to get it out of some deep ruts, but I preferred just doodling along the green lanes enjoying the view. 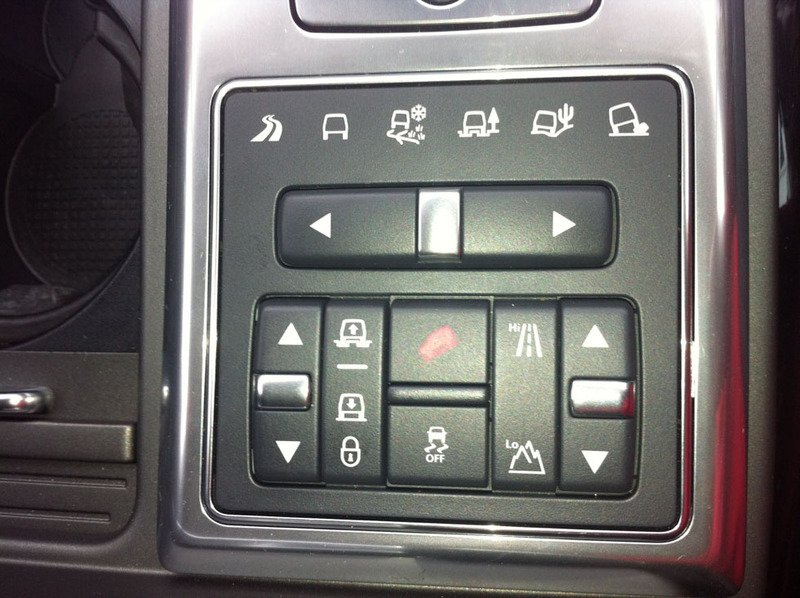 Quite frankly the Range Rover Sport I drove didn’t need me in it, although I suppose I was useful to press some buttons. You find the little drawing on it that looks most like the view ahead, select it, and the car will adjust engine settings, gear ratios and suspension height within a nano-second and without a sound. You change between high and low ratios by pressing a button. In the old days you used to have to shove a clunky second gearlever up or down. 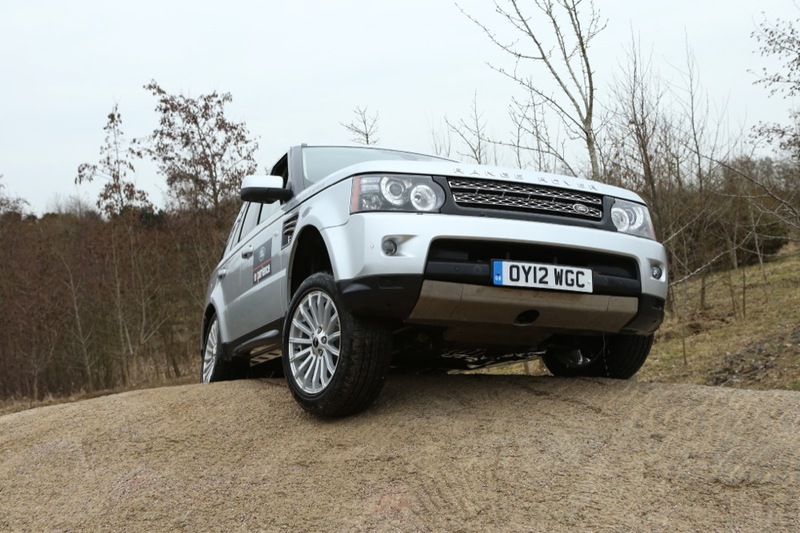 The RR has a gizmo for starting on a hill without rolling backwards. Plus, it has cameras everywhere, so as we sat with the nose pointing at the sky, able to see nothing but clouds and planes, the camera showed us the track turning sharply to the right ahead. More gizmos in the Hill Descent Control allow you to take your feet off all the pedals, and it will creep steadily down a hill. On a narrow bridge, side cameras showed how much road that was between the tyres and the edge. (Handy for low gate posts or kerbs). Bumping through the water and up and down slopes was quite fun, but I did not like driving along the mini Wall of Death they’d created. 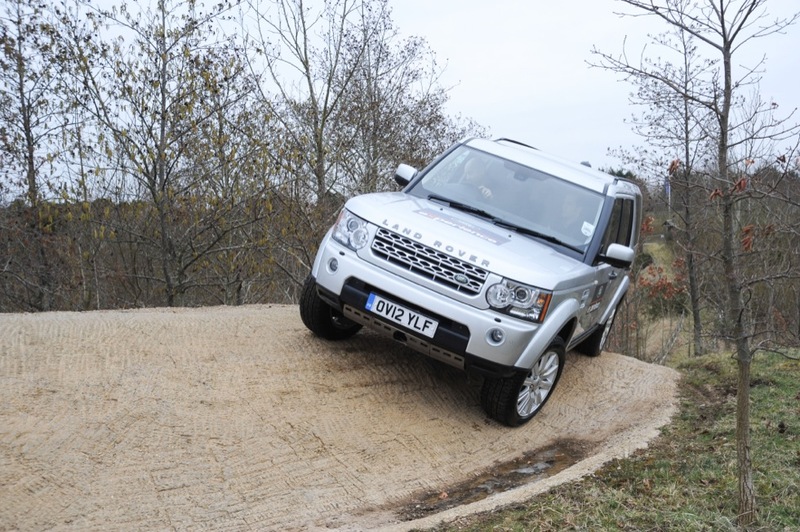 My instructor from Landrover was remarkably calm as the ground passed by, his window. As long as it didn’t have a roofrack, it could tilt far more than this, he said. We were only at about 25 degrees. Gulp. On the way out, we had to go over a rock, lifting one wheel in the air, I swear I didn’t feel it lift and I didn’t feel or hear it touching down. 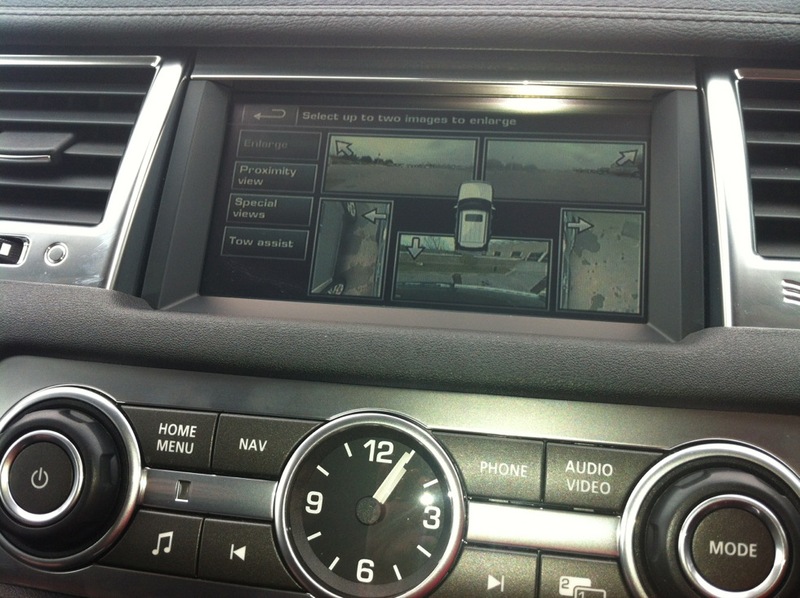 Perhaps my favourite gadget, though, is the smart scene that shows the driver the sat-nav map while their partner in the passenger seat watches a DVD – on the same screen. Now that’s clever. 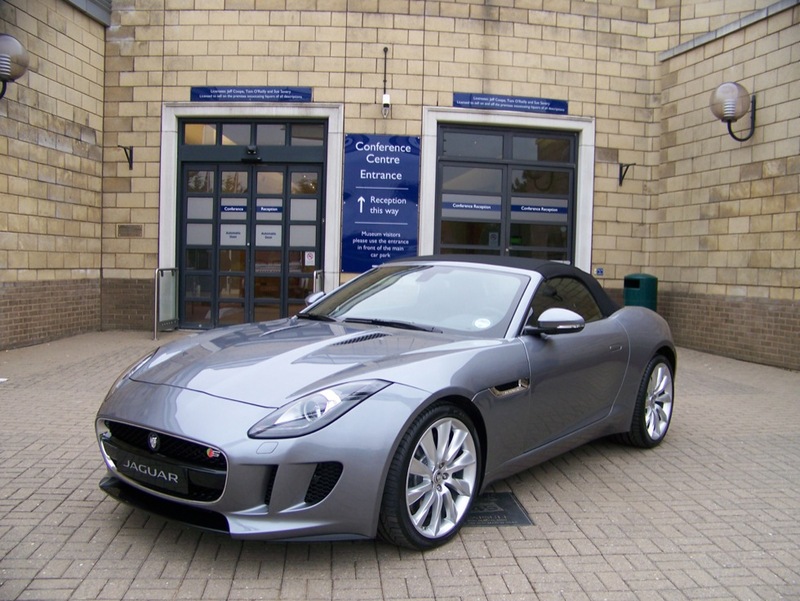 Starting a modern Jag is an event. You find somewhere to stash the keyfob where it won’t rattle around, press a button and watch as the screens wake up and the air vents curl into place. A small stubby cylinder rises from the central tunnel, and you turn it to select a gear. It needs music, or an electronic Ta-DAH! My first drive of the day was the XF 3.0L Portfolio at £50,450, trimmed in cream leather and machined aluminium-look trim. Jaguar’s slogan used to be grace, pace, space. I’m afraid I think the grace is lacking in most new Jaguar designs, in particular the nose and squared-off grille of the XF. This one certainly had pace, though. The 3.0-litre supercharged petrol engine is capable of hurling it to 60mph from standing in 5.7sec, and it has a top speed of 155mph. Surprisingly, though, I found I didn’t want to go hot-rodding around the place. It was such a nice car to be in and to drive, I didn't want to get anywhere, I just wanted to savour the experience. 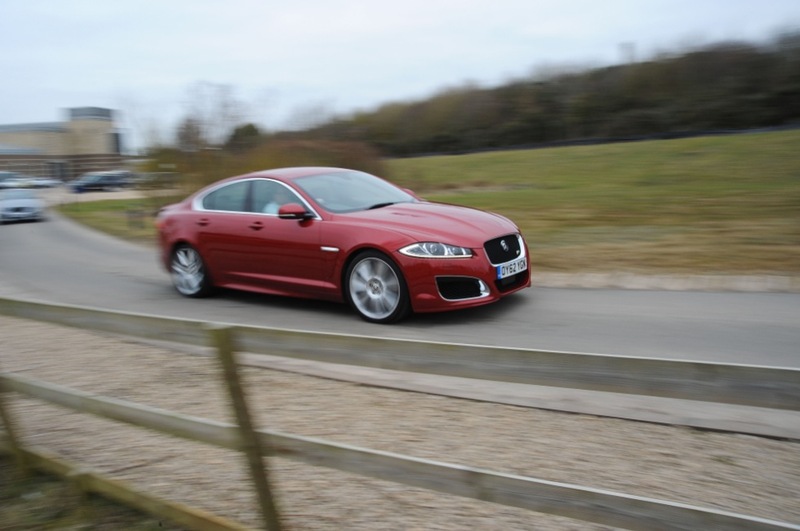 I tried the paddle shift gears, and they work in a blink, but who am I to think I can change quicker than the Jaguar’s auto ‘box? After a while, I just let it get on with its job. 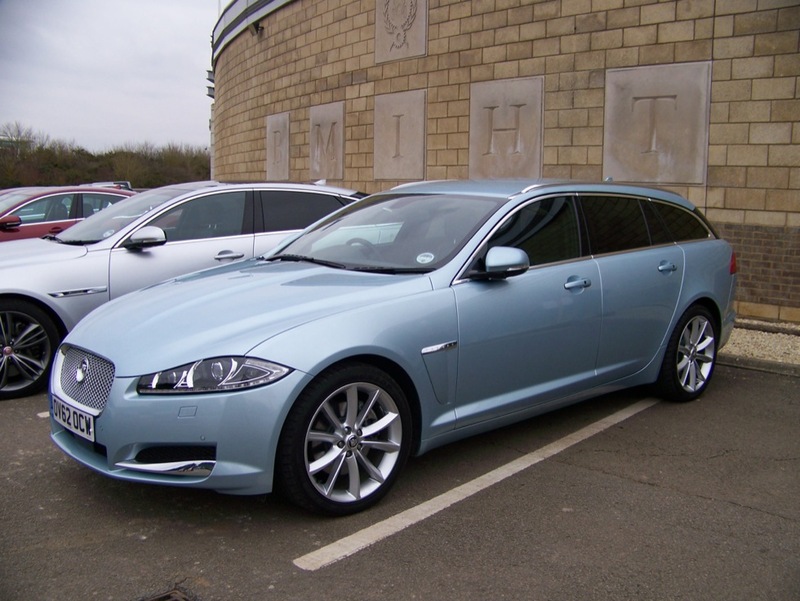 My next test car was the XF Sportbrake 2.2 TD (a mere £32,940). I love the profile, the extra length gives back some of that grace. I wasn’t so keen on the furry suede trim on the cabin roof and A Pillars, or the sporty seats with leather stripes I could feel through my jeans. It’s creamy smooth to drive, though. Not as out and out fast as the 3.0-litre, managing 0-60mph in 10sec with a top speed of 124mph, but it had plenty of urge when I needed it. Plus, it had a combined fuel consumption of 54.3mpg. Can I have it gift-wrapped?